Can you remember your past life and find your way out? You wake up in a temple somewhere in Asia, and realize that you've lost your memory. Can you find your way out of the temple, and regain your past life? 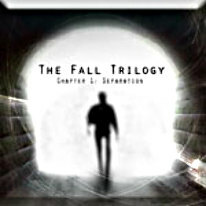 Solve challenging, integrated puzzles, and thwart the obstacles that await you in The Fall Trilogy- Chapter 1: Separation.